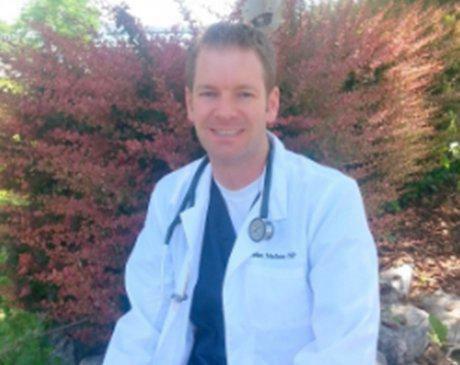 My name is John Nielsen and I am a Family Nurse Practitioner at Jordan Meadows and Hunter Medical Centers. I grew up in Orem, Utah but have lived all over the state of Utah. I served a two-year LDS mission in Sao Paulo Brazil, where I learned to speak Portuguese fluently and am now transitioning over to Spanish. I attended Southern Utah University and completed my Bachelor of Science Nursing. After graduation, I was accepted into the University of Utah's Critical Care Internship program where I was trained to work in the Medical ICU, Burn Trauma ICU, Neuro ICU, Surgical ICU, Cardiovascular ICU and Emergency Room. While at the U of U I was a charge nurse, Brain attack nurse, Neuro-Emergent Trauma nurse and a member of the C-arrest team. The time I spent at the U of U was immeasurable and has helped me enormously in my profession as a Family Nurse Practitioner. After five years of working in the ICU, I graduated from Graceland University in Independence, Missouri as a Family Nurse Practitioner. I married my best friend and we have three beautiful children. When I am not working, you can find me in the mountains either fishing or chasing monster bucks and bulls with a bow. I am a people person with a good sense of humor. I genuinely love to work with people of all ages and am excited to be here.